Pictured, Argentinian gunman and spurned lover, Anibal Fernandez. Anibal Fernandez, jilted Argentina boyfriend accidentally shoots self dead after making an escape after shooting at ex girlfriend’s new love interest. 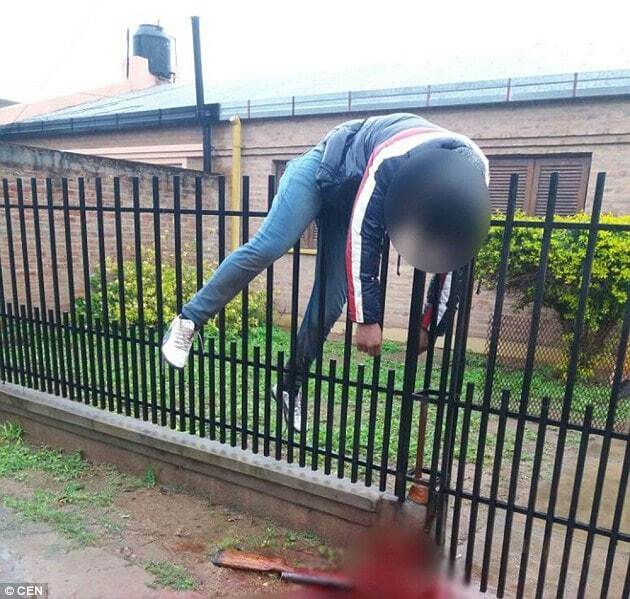 Grim photos have been released showing the lifeless body of Argentinian gunman, Anibal Fernandez who accidentally shot himself to death following an attempt on his ex girlfriend’s new lover local media reported. 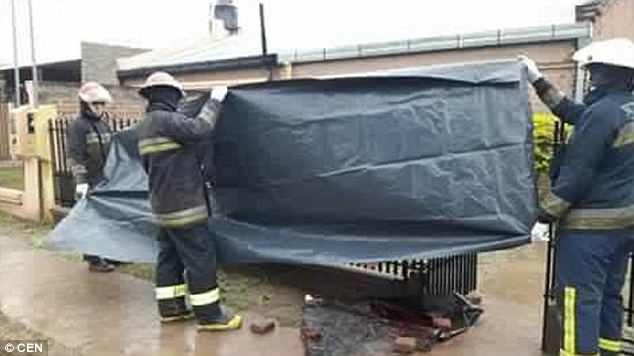 Images showed the jilted ex boyfriend’s body draped over a fence in the town of General Pinedo, Argentina, after the horrific incident. Local media suggested that Fernandez had gone to the home of ex Carina Carabajal, 39, with a .22-caliber rifle on Friday with the intention of confronting her new lover Daniel Campos who had been living there. The dailymail reported the spurned lover bursting into the property and shooting his love rival four times in the arms and chest following a heated argument. It was only when Fernandez sought to flee the scene that the former boyfriend ran into trouble, with witnesses telling of hearing a gunshot outside the building only to find Fernandez’s lifeless body perched on top of the metal fencing with a pool of blood below. Fernandez was said to have died instantly while Campos managed to survive his ordeal after being rushed to the local hospital. 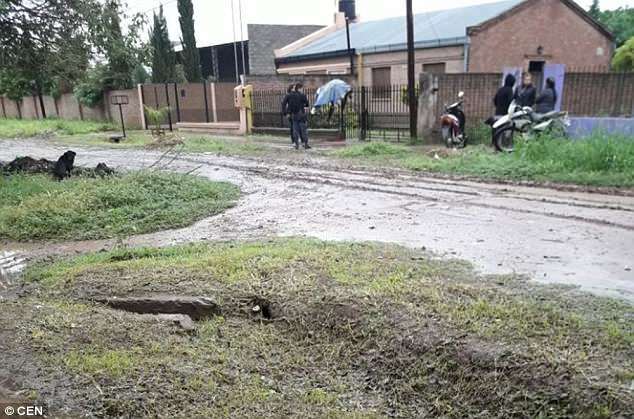 It is believed the jilted man’s gun went off after becoming ensnared while trying to climb over the residence’s gated fence. Campos remains in the Las Brenas Hospital where he is recovering from his wounds. Responding police set up a cordon around the macabre scene along with screening the remains from public display. 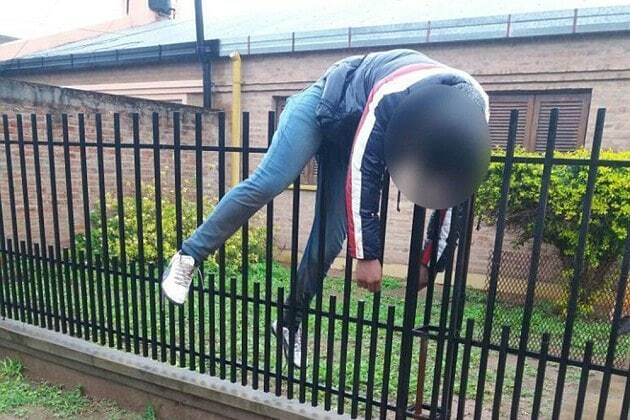 Pictured the macabre scene involving Anibal Fernandez in the area of Las Brenas.